In honor or International Women’s Day, here is a small selection out of so many outstanding woman designers — established and emerging leaders of our field — from San Francisco and the Bay Area. Let’s celebrate them all and recognize them for their contributions to our craft, profession, and community! Sign up to our newsletter to receive all what’s new from IxDA San Francisco — including first dibs on tickets to our upcoming Interaction’19 San Francisco redux conference, featuring speakers from Facebook, Google, Netflix, and more. If you’re interested in an awesome peer mentoring program for and by women designers, look no further than to our friends at Hexagon UX. Tech world “It” Girl, as seen @Google, @WhiteHouse, featured @techcrunch, @forbes. 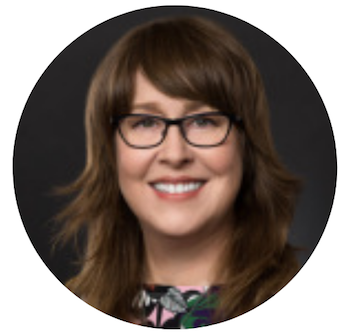 Nancy Douyon is a trailblazer in human experience design with over 15 years of industry experience building scalable user research platforms and revitalizing user interfaces at leading companies such as Uber, Google, IBM, Cisco, and Intel. Throughout her career, Nancy has gained a reputation for delivering big results in a culturally honest and purposeful way with hundreds of products deployed in over 80 countries worldwide. She consults globally on remote user research methods and development in emerging markets. Her past research examined design frameworks around the promotion, development, and implementation of global policies around user experiences in tech. Nancy is currently developing the Douyon Signature Labs, Silicon Valley’s first social enterprise research institute focused on bridging the gap between human potential and tech innovations. She is proudly Haitian, has traveled to over 70 countries, and speaks fluent sarcasm. Kat Holmes was named one of Fast Company’s “Most Creative People in Business” in 2017. As author of Mismatch: How Inclusion Shapes Design and founder of mismatch.design, Holmes works with multidisciplinary leaders to set a foundation for why designing with excluded communities drives better solutions for everyone. At Microsoft from 2010 to 2017, she led that company’s executive program for inclusive product innovation. Her award-winning toolkit was inducted into the Smithsonian Institution’s Cooper Hewitt Design Museum. Holmes is currently a Director of User Experience at Google and continues to advance inclusive development for some of the most influential technologies in the world. Her work stems from three core values: There’s no such thing as an average human being. People should be in the lead, not just the center, of technology. Work with people you enjoy being around and make something worth making. 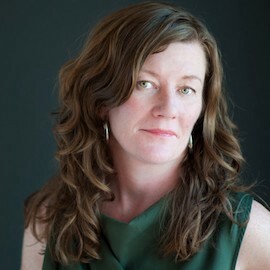 As a pathfinding researcher supporting the Create team at Facebook, Catherine Lovazzano leads foundational and future-facing ethnographic inquiries into topics such as people’s motivations to share, visual creativity and the connection between photography and memory. Before Facebook, she led foresight, trends and innovation research at Fitbit, Samsung, and FIAT. Her graduate work at the University of Oxford (MA, material anthropology) focused on photography and self representation. She’s also an adjunct professor at California College of the Arts, where she teaches design research methods. 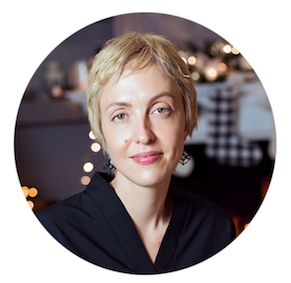 Nadya Direkova is a design leader focused on vision, strategy and rapid prototyping. She works at Airbnb as a Director of R&D. In the industry, she is best known for founding the Sprint Master Academy at Google, scaling the art of the design sprint to all parts of the company and its global developer ecosystem. 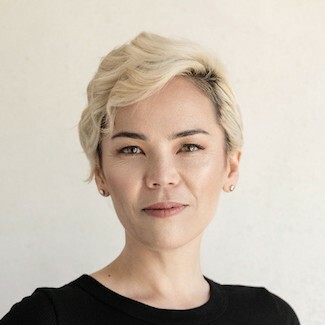 She has hosted over 100 design sprints to accelerate projects such as Google [x] Self-Driving cars, Project Loon, Maps, Google Ads and key partners such as Google Capital’s portfolio investments. In addition, Nadya is a caring manager and training to become a certified executive & career coach. Sarah Fathallah, otherwise known as سارة فتح الله, is a Moroccan, loosely San Francisco-based, social designer and researcher. She applies community- and human-centered design to tough social and development challenges. She has worked on projects of all sizes with non-profits, governments, and social enterprises, on topics ranging from civil and human rights, to healthcare and education, financial inclusion and consumer protection, and media development. Her clients have included the World Bank, the International Rescue Committee, Open Society Foundations, and Population Services International, to name a few. She co-founded Design Gigs for Good, a job board listing opportunities at the intersection of design and social impact. Innovator, artist, protagonist, activist, and positive provocateur, Maria has pursued a vision of intelligent, elegant, people-centered design throughout her professional life. Her grasp of the pragmatic, the authentic, and the essential have kept her at the forefront of design and business for over 30 years. Under Maria’s leadership, Hot Studio, the award-winning experience design firm she founded in 1997, grew into a full-service creative agency with an impressive list of Fortune 500 clients. In 2013, Facebook acquired the talent behind Hot Studio, where Maria worked as a Director of Product Design. From 2015 to 2017, Maria led a global team of designers as Autodesk’s first VP of Experience Design. Notable awards and recognition for Hot Studio include a nomination for the National Design Award. Grace Kim is VP of Design and Research at Twitter. 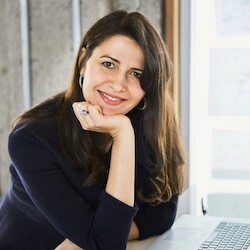 Prior to joining Twitter in 2011, Grace was a principal research manager at Adobe Systems where she spent nine years overseeing research teams in both user experience and marketing. 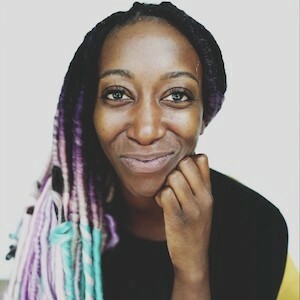 Grace was a founding member of the Adobe Photoshop Lightroom team and regularly partnered with Adobe’s entrepreneurs in residence to identify promising new business opportunities. Early in her career, Grace spent several years at Sapient conducting international research for numerous global brands. Grace holds a bachelor’s degree in Sociology from Wellesley College and a masters degree from the University of California, Berkeley, where she was a Patricia Roberts Harris Fellow. Director of User Experience at Google, Dr. Elizabeth Churchill leads research on Material Design. Prior to taking up her current position at Google, Elizabeth has built teams in a number of well-known companies, including eBay, Yahoo!, PARC and FXPAL — Fuji Xerox’s Research lab. In 2016, she received the Citris-Banatao Institute Athena Award for Executive Leadership. In July 2018 she received an honorary Doctor of Science from the the University of Sussex for her continued contributions to the sciences underlying creative technologies. Elizabeth is the current Executive Vice President of the Association for Computing Machinery. An independent product / design leader focused on products and services that impact our society at large and individuals within it. She spent the first part of her career in design consulting for firms like frog design, Cooper, and LUNAR. Recently, she was Head of Design at PG&E, California’s largest energy company, she has led the design of the hardware and software of a next-generation surgical system, and served as VP of Product at GreatSchools.org. Her past clients include Virgin Records, Samsung, Johnson & Johnson, and Intel. Gretchen is a Bay Area native who left only long enough to get a bachelor’s degree from Harvard in History & Literature. Jina Anne is a design systems advocate in San Francisco. You may know her from her work on the Salesforce Lightning Design System. 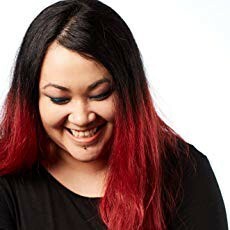 Or if you have followed her for a while, then you also know of her work doing visual design and leading the CSS architecture remodel for the Apple Online Store. Or, you might know her from her successful design systems conference, Clarity. She’s super passionate about design systems, design tools, and design processes. But more importantly, she’s passionate about collaboration and improving communication; she’s passionate about community and people. It’s why she loves design systems in the first place. Because design systems are for people. 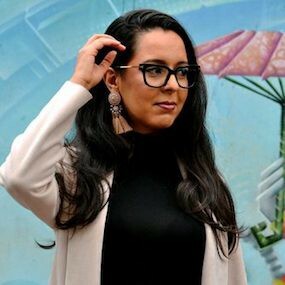 As a bay-area based researcher, writer and consultant, she is interested in all forms of experience design, with special interest in design research, concept development and design strategy for interactive media. As part of her practice, she is committed to considerations of environmental health and social justice as well as other humanities — and science-based values and insights. 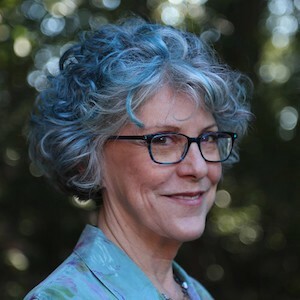 At UCSC she developed three undergraduate courses to boost creative and values-based for both game design and theater students. Previously at CCA and Art Center, she led the design and development of graduate trans-media design programs. Both programs welcomed students trained in a variety of design disciplines, usually with converging interests in interactive systems. The alumni of both programs are designers who are excellent practitioners of design research, strategy, and systems thinking as part of their design process. 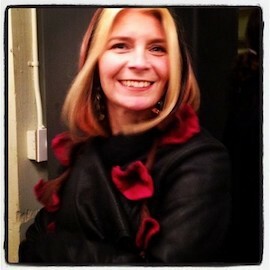 Brenda is a board member of the global Interaction Design Association (IxDA). Daniela Busse (Ph.D.), Head of Research, Oracle Marketing Cloud. Leader of IxDA San Francisco. Daniela Busse focuses on research, design and incubation of breakthrough user experiences in her career as Director of Research/ Strategic Innovation at Citi Ventures’ Chief Innovation Office, as Design Futurist and Design Innovation Director at Samsung Research, at SAP Lab’s Office of the CEO, Design Researcher at Microsoft’s Office Design Group, and as Head of Research at Oracle Marketing Cloud. She holds multiple patents, publications, and has won multiple awards, including an Outstanding Inventor award for her work at Samsung. Daniela received her PhD in Computing Science/Human-Computer Interaction (Cognitive Modeling), and her double degree in Computing Science and Psychology from Glasgow University (Scotland, UK). As of 2018, she co-leads IxDA-San Francisco together with Anna Iurchenko. Anna Iurchenko, Interaction Design, Google Healthcare AI. Leader of IxDA San Francisco. Anna Iurchenko is a UX designer currently working at Google in Healthcare AI team. In the past she worked as a product designer in the various industries for large companies and small startups helping them better understand their customers, find new opportunities and create products that customers love. She is excited to create experiences that improve people’s lives and influence them to make positive changes. As of 2018, she co-leads IxDA-San Francisco together with Daniela Busse. Maria Cordell and Sharon Cardinal led IxDA San Francisco since 2010 and 2012 respectively, and made it into what it is today. As of 2018, they passed on leadership of IxDA-SF to Daniela Busse and Anna Iurchenko, transitioning out of leadership through 2019. Maria Cordell has worked at the intersection of design, technology, and science throughout her career. Today she’s a design lead at Apple applying user-centered design and research to artificial intelligence projects. 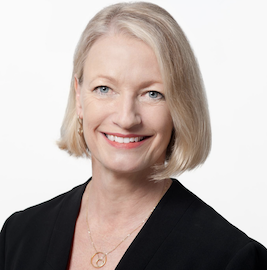 She was previously Design Director at Adaptive Path, Principal UX Architect at Macquarium, and Chief Technologist at Dod/Pritchard. 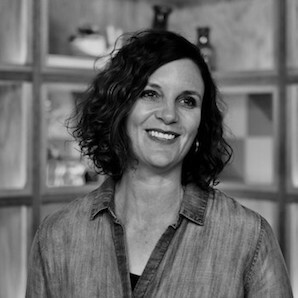 Over the years, Maria has delivered strategy and design for Adobe, Apple, AT&T, Capital Group, Capital One, Chick-fil-A, Disney, Getty Images, John Muir Health, and UPS. Maria holds a Master of Science in Information Design and Technology, and a BS in Physics with Honors, both from the Georgia Institute of Technology. 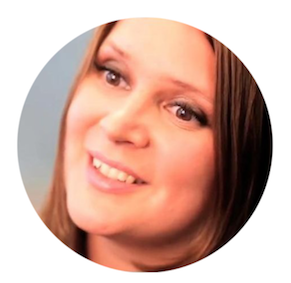 She’s been involved with IxDA since 2008, when she started IxDA Atlanta, and became an IxDA SF leader in 2010. 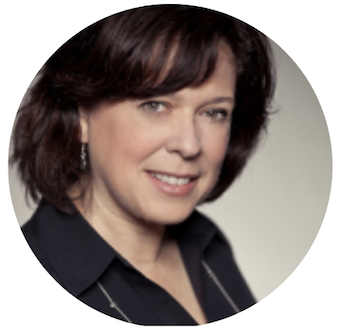 Sharon Cardinal is a UX design leader with 20 years experience in visual and interaction design and research. She has enhanced customer experiences for the likes of Trulia, Adobe, 23andMe, and Adaptive Path. Since 2012, Sharon has curated, managed, and hosted events for IxDASF. Popular titles include WiXDD at Adobe, Design at Scale at LinkedIn, and the SF Open Studio Walking Tours for Interaction15. Currently, Sharon brings her product design expertise and leadership skills to Bill.com, where she has a been focusing on growing the company’s designops practice. IxDA San Francisco is serving over 5,000 members from around the Bay Area, with a total IxDA SF community of over 10,000 designers and design-related professionals, students, educators, thought leaders, practitioners, and leadership. IxDA SF hosts a wide range of design-focused and social events and initiatives throughout the year. We partner with great companies and organizations to host talks and activities that move interaction design forward and enable practitioners to advance skills, while also providing a platform for members to add their voices to the larger conversation about design practice. Above all, we seek to curate the sharing of ideas, perspectives, and inspiration that help make us all better and more aware thinkers and designers. Get in touch if you’d like to get involved! We're the San Francisco chapter of the Interaction Design Association (IxDA).